It does not matter– with that gift inside. 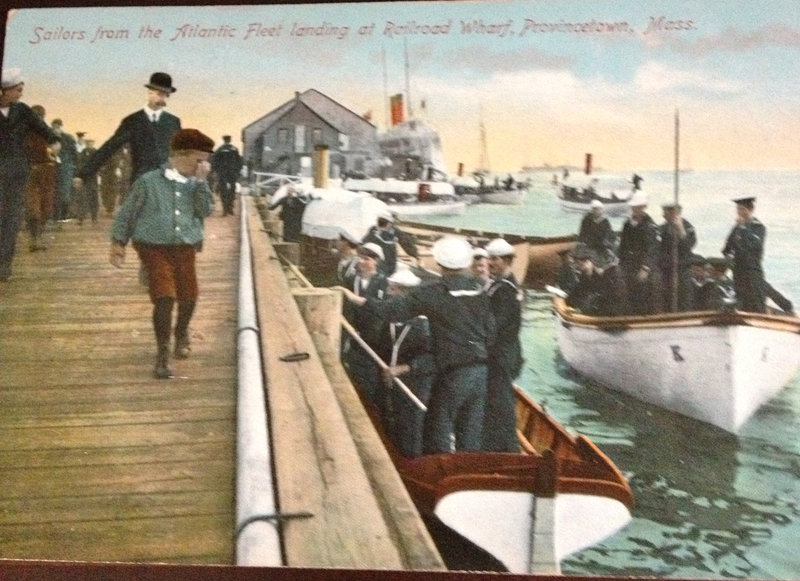 The above antique postcard was printed in Germany and published by the Advocate at the end of the 19th century when traveling by boats was often easier than walking to get from the East End to the West End of Provincetown. 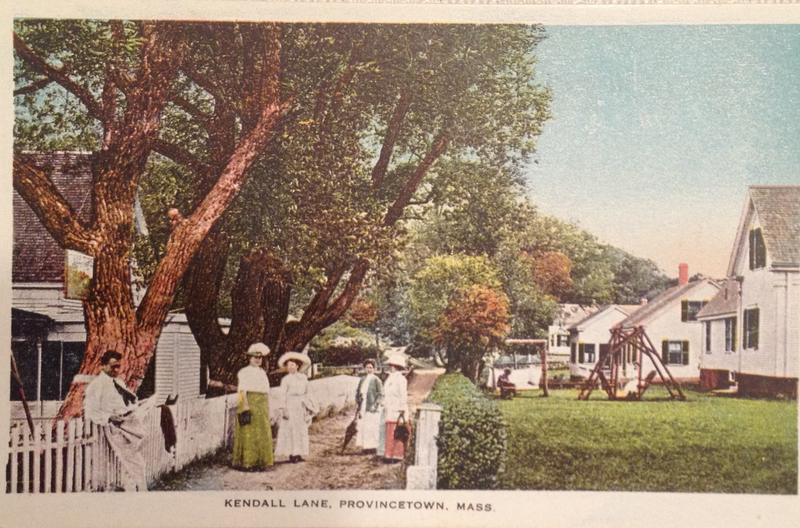 The poem was published by Provincetown Publishers and printed by The Advocate Press in 1952. If you like books connected with Provincetown and haven’t yet read Remaining in Provincetown by S.N. Cook, copies are available at local bookstores and for purchase online in trade paperback and as an ebook. 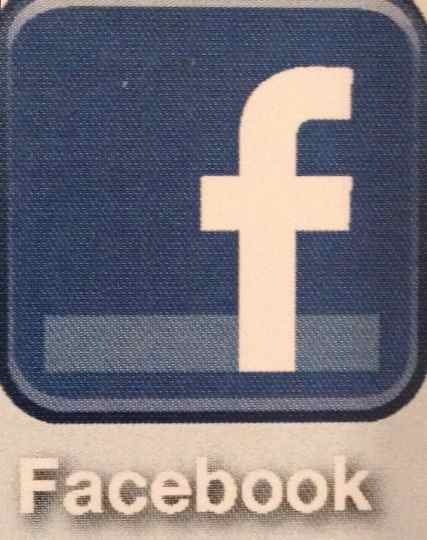 Like us on Facebook and keep the conversation going!! Along the shore is where I want to be on a beautiful day when the sun in shining Pink sky along the water’s edge and pale yellow sand that rubs against my toes Another glorious day in Provincetown where the light is bright and pure and the sounds of the sea are never far from my ears. 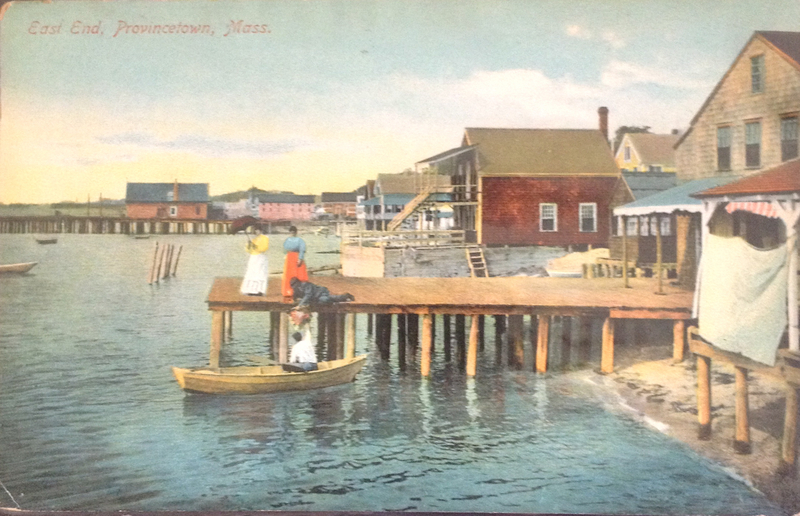 The above postcard is a color lithographic print circa 1910. 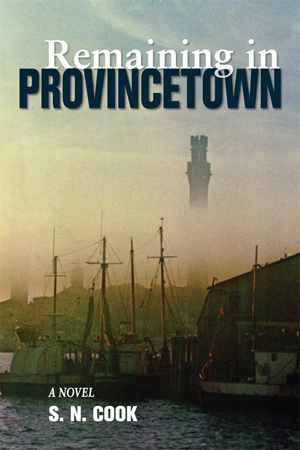 Love Provincetown? 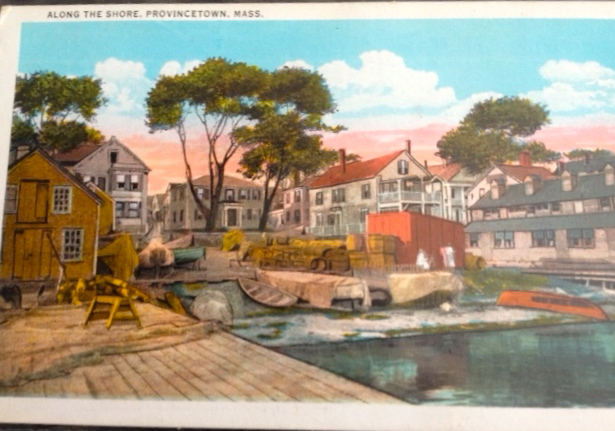 Check out the new murder mystery Remaining in Provincetown by S.N. Cook available in trade paperback and as an ebook. Like us on Facebook and keep the conversation going. 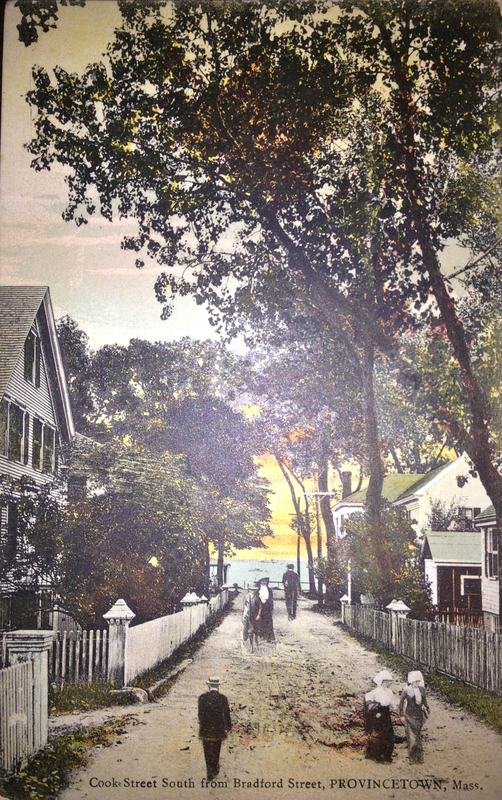 During the busy summer months its easy to miss all the lovely side streets in Provincetown which join the main two thoroughfares–Bradford Street and Commercial Street. 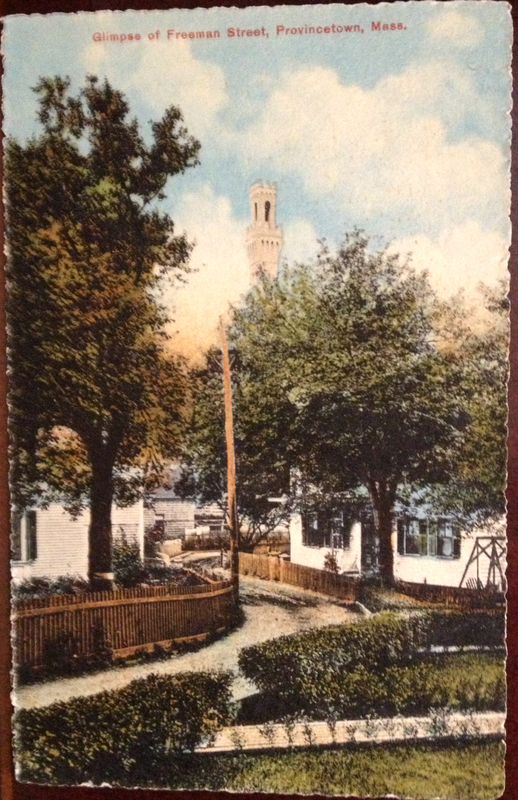 The above postcard, a color lithographic print from the late 19th century is entitled “Glimpse of Freeman Street”. What you don’t see is the building , donated by Nathan Freeman in 1873, which once served as the Provincetown Public Library. The Freeman Street library opened to the public in June of 1874. In the mystery novel Remaining in Provincetown by S.N. Cook, set in approximately 1990, the library is at that location on the corner of Freeman and Commercial Streets. Today the library resides in what was once the Center Methodist Episcopal Church built in 1860. During the time period in which Remaining in Provincetown takes place, the building (once the Chrysler Art Museum) is still the Provincetown Heritage Museum. In 2005 it became the Provincetown Public LIbrary. 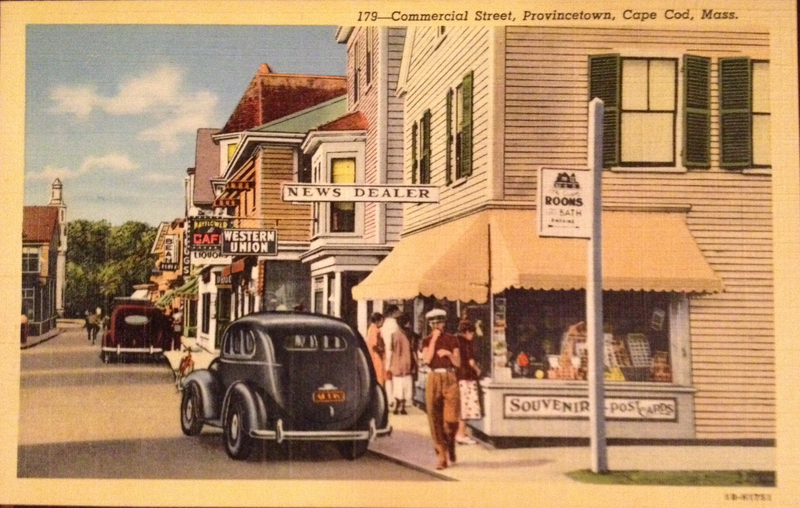 Want to read a story that takes place in Provincetown a few decades ago? 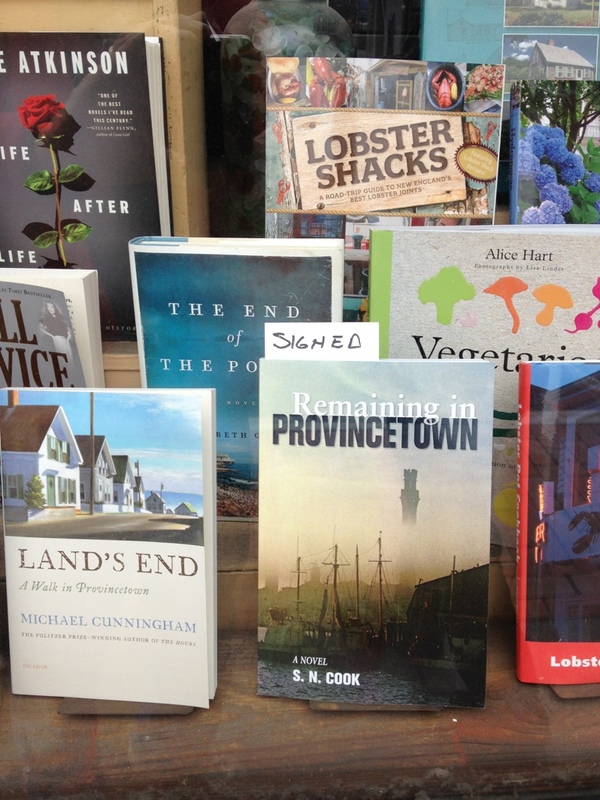 Remaining in Provincetown is available online and at your favorite bookstores. Like us on Facebook and keep the conversation going.